Fantastic Poppy Appeal response – thank you!! We have been overwhelmed with the response this year to our stick on poppy initiative. This is the 5th year we have been doing this, raising over £3200 in total previously. 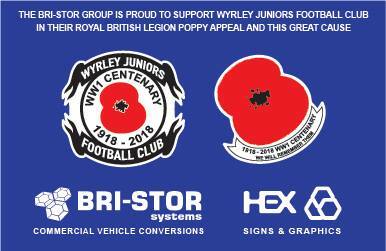 We are delighted that we have managed to sell them all, raising £2000 to be shared equally between Great Wyrley, Cheslyn Hay and Essington Royal British Legions’ Poppy Appeals. Well done every club team and non Wyrley teams that bought some! So proud to be Wyrley! !